Introduction: Nowadays the trend to travel abroad has extremely grown. This is while, paying attention to travelers’ health is an incredibly important issue. Many organizations try their best to provide health services during travelers’ trips. Meanwhile, the biggest and most effecting health care providers all around the world are hospitals. Regarding this fact, a theory has been presented to help these organizations coordinate and direct much more effectively in compared to the past. It is noticeable to mention that this theory can help health care providers to gain a more sustainable position in order to develop medical tourism in their centers. Methods: A theory has been presented in this research with different dimensions. The major aspects of this model have been designed according to the relationships which exist in families. These relationships include: parents, children and others. Each of these aspects have been divided into two segments which are female and male. These aspects play their roles in three different dimensions. Results: According to the results this study, it can be mentioned that there are 6 relationships in regards to the HEXAL Model in health service providers. These relationships include mother, father, sister, brother, step sister and other relationships. It can be also said that each of these dimensions have different responsibilities in both health care providers and travel medicine. Conclusion: By using this model, health service providers can collaborate much more effectively. As a result, medical tourists and even other tourists can experience much more satisfying trips throughout their lives. Whittaker A, Chee HL, Por HH. Regional circuits of international medical travel: prescriptions of trust, cultural affinity and history. Asia Pac Viewp. 2017. doi:10.1111/apv.12158. Khan MJ, Chelliah S, Haron MS, Ahmed S. Push factors, risks, and types of visit intentions of international medical travelers–A conceptual model. Int J Healthc Manag. 2017;10(2):115-121. doi:10.1080/20479700.2017.1304345. Samadbeik M, Asadi H, Mohseni M, Takbiri A, Moosavi A, Garavand A. Designing a medical tourism website: a qualitative study. Iran J Public Health. 2017;46(2):249-257. Connell J. Transnational health care: global markets and local marginalisation in medical tourism. In: Parry B, Greenhough B, Dyck I, eds. Bodies Across Borders: The Global Circulation of Body Parts, Medical Tourists and Professionals. Farnham: Ashgate; 2015:75-93. Loh CPA. Trends and structural shifts in health tourism: Evidence from seasonal time-series data on health-related travel spending by Canada during 1970-2010. Soc Sci Med. 2015;132:173-180. doi:10.1016/j.socscimed.2015.03.036. Moghavvemi S, Ormond M, Musa G, et al. 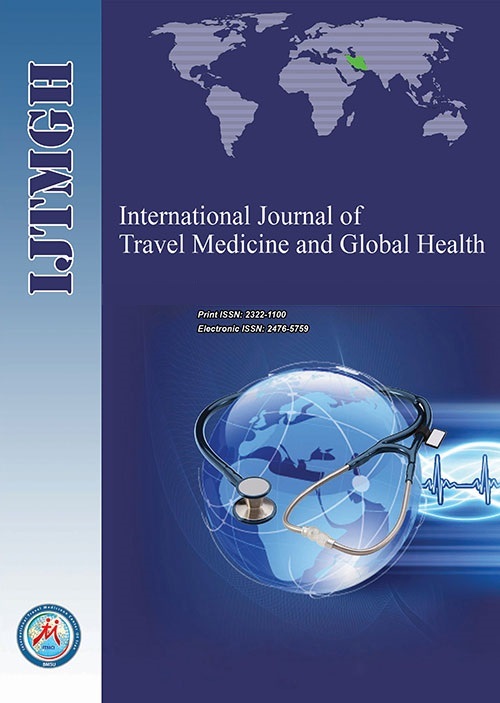 Connecting with prospective medical tourists online: a cross-sectional analysis of private hospital websites promoting medical tourism in India, Malaysia and Thailand. Tour Manag. 2017;58:154-163. doi:10.1016/j.tourman.2016.10.010. Hoseinpourfard M, Ghanei M, Tofighi S, Ayoubian A, Izadi M. The emergence of Hajj stampedes: lessons for draw near in the Islamic values in Hajj Trauma centers accreditation. Trauma Mon. 2017; In Press. doi:10.5812/traumamon.39455. Izad M, Hoseinpourfard M, Ayoubian A, Karbasi M, Jahangiri M, Jalali A. A Survey to the implementation of Islamic standards in the hospitals of Iran for attraction of muslim medical tourists. Int J Travel Med Glob Health. 2014;1(3):99-102. Noree T, Hanefeld J, Smith R. Medical tourism in Thailand: a crosssectional study. Bull World Health Organiz. 2016;94(1):30-36. Seow AN, Choong YO, Moorthy K, Chan LM. Intention to visit Malaysia for medical tourism using the antecedents of Theory of planned behaviour: a predictive model. International Journal of Tourism Research. 2017;19(3):383-393. doi:10.1002/jtr.2120. Kangas B. Hope from abroad in the international medical travel of Yemeni patients. Anthropol Med. 2007;14(3):293-305. Connell J, Fara X. Medical tourism in the Caribbean islands: a cure for economies in crisis. Island Stud J. 2013;8(1):115-130. Glinos IA, Baeten R, Helble M, Maarse H. A typology of crossborder patient mobility. Health place. 2010;16(6):1145-1155. Kasemsap K. Facilitating hospitality and tourism management in global business. In: Pappas N, Bregoli I, eds. Global Dynamics in Travel, Tourism, and Hospitality. Hershey: IGI Global; 2016:283-305. Aydin G, Karamehmet B. Factors affecting health tourism and international health-care facility choice. Int J Pharm Healthc Mark. 2017;11(1):16-36. doi:10.1108/IJPHM-05-2015-0018. Ormond M, Sulianti D. More than medical tourism: lessons from Indonesia and Malaysia on South–South intra-regional medical travel. Current Issues in Tourism. 2017;20(1):94-110. doi:10.1080/13683500.2014.937324. Bolton S, Skountridaki L. The medical tourist and a political economy of care. Antipode. 2017;49(2):499-516. doi:10.1111/anti.12273. Pennings G. The ethical management of medical tourism. In: Botterill D, Pennings G, Mainil T, eds. Medical Tourism and Transnational Health Care. London, UK: Palgrave Macmillan; 2013:179-193. American Hospital Association. Fast facts on US hospitals. http://www.aha.org/research/rc/stat-studies/fast-facts.shtml. Accessed May 2014. Izadi M, Ayoubian A, Hoseinpourfard M. Health tourism: a comprehensive guide for tourism policy makers, health managers, travel agencies, insurance and investors. Tehran: Baqiyatallah University of Medical Sciences; 2016. Dai Liyang ZF, Yunsheng K. The essence of hospital website construction and thinking of constructing outstanding hospital websites. China Medical Education Technology. 2010. 4: p. 020.